A single mom with a dead end but with a good heart finds a Prada bag filled with money. This discovery leads her to her dreams. This book started off with so much promise. It starts off with the main character I (I don't think we ever learn her name) having a hum drum day and then she discovers a huge bag of money! Unlike a typical chick lit book, she spends about $2000 on frivolous things and then feels bad about it. She then decides to invest the money in CDs and...well, I will leave that as a surprise. She also spends the book worried about where the money came from. Sounds exciting, right? I don't read books for this much realism. The back of the book clearly states that this book is not a romantic fairy tale. This is a book about a woman who gets the money to solve her problems, not a guy. The problem is that money can't solve all your problems either. Money can definitely solve a lot of problems, but driving off into the sunset with a stack of cash works just as well as driving off with the guy (both can run out on you). One last concern about this book: the typos. Throughout the book there are typos. They mainly involve using the wrong verb tense or the wrong preposition. This book did not appear to be a galley, but it may be. Let's end this review on a positive note. One thing that I enjoyed was the protagonist's voice. It was fun and sounded like a real person. 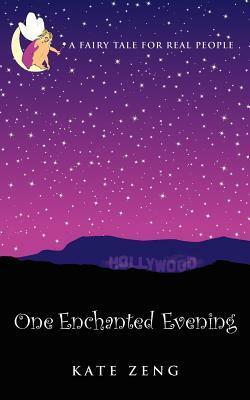 Sign into Goodreads to see if any of your friends have read One Enchanted Evening. 14.69% "Fun book so far but riddled with typos." 27.62% "This is a chick flick in book form. :)"